I have created a simple soundfont-to-xrni conversion utility. While the new VST Grabber would fill lots of such SoundFont need, I guess this converter would be still useful for some uses. The converter is rather a hack, far from well designed and perfect (I’m very new to both soundfont and renoise land, haven’t written any songs yet). I tried only a few sf2 files, but it looks working in general. 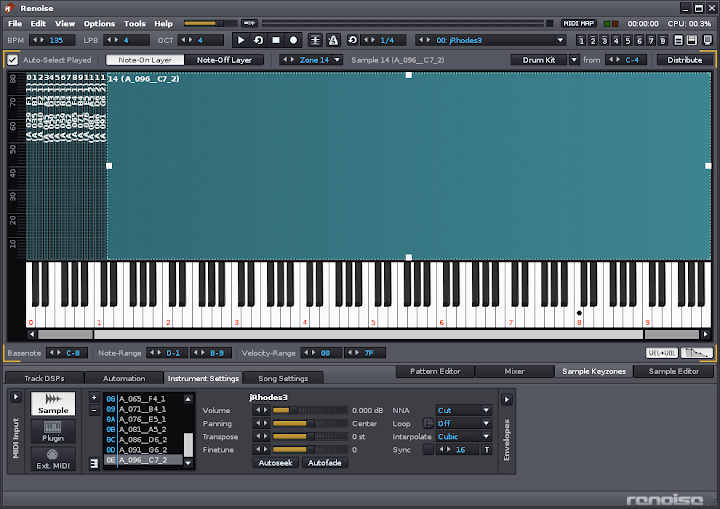 Converts SoundFont sf2 file to Renoise XRNI files. Contribute to atsushieno/sf2xrni development by creating an account on GitHub. It is based on NAudio and NRenoiseTools (binaries are included in the project files). You’ll need .NET Framework 3.5 or Mono to run it. But i dont want to convert tonz of my SF2’s ot XRNI. The good way is we can load SF2 or REX files to Renoise. Just like EnergyXT2 latest update can do this! Never have used sountfonts, what is the benefit over normal .wavs? Not the feature request forum? Yeah, sf2xrni wouldn’t help if you have a lot of sf2 files with not too many storage space. 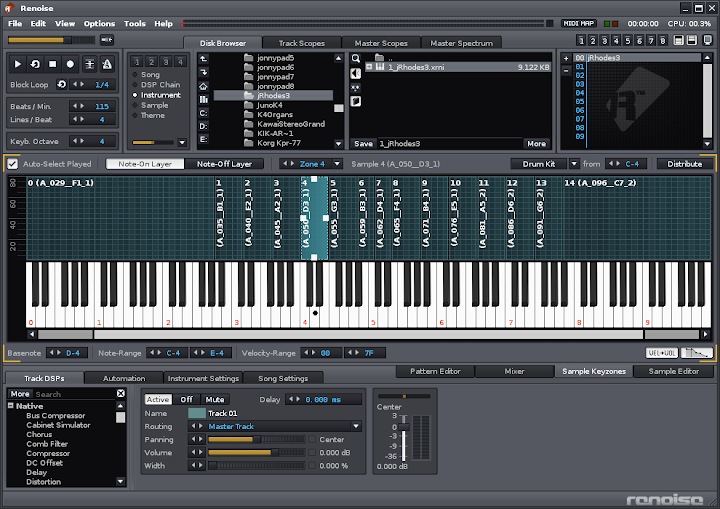 As for my own purpose for sf2xrni: I wanted to try out several soundfonts with renoise’s own tone selector UI, not through VST plugin (which was not very efficient as far as I tried; I have to open a program/bank selector UI, close, and then test its sound, instead of a few clicks). Converting them into .xrni was easier. Is there a pre-compiled version of this tool available? I’ve tried to follow the installation instructions, but am unsure how to get it to work. Yes, there is a link to “Download” dialog. The latest archive contains both .exe and README. ts dependencies. An attempt was made to load a program with an incorrect format. What am I missing? I have all of the files included in the zip file, plus the soundfont is in the same directory, which I hoped would have made things easier on the program. Oh, indeed. Thanks for the details. I got the same exception when running on .NET. I always ran it with mono (as I am an insider , so I didn’t notice that. I could get sf2xrni working by recompiling the sources with .NET 3.5. I pushed the latest build on the download page, so please retry with the latest one. This tool was written in .NET 2.x runtime era and when I had x86 machine, so I wasn’t even aware of 64bit-ness issue. NRenoiseTools has also been updated to deprecate my sources so I will have to make them up to date too. Thanks for taking the time to fix this! I’m looking forward to trying it out, but unfortunately GitHub won’t let me download the new version you’ve compiled (it complains about an Access Denied error). I didn’t expect really to have any issues on the machine I’m using as it’s Windows 7 32-bit, but then if they’ve been updating the libraries on you that’s bound to break something! Hmm, I was also getting Access Denied. I’ve deleted and uploaded the archive again and confirmed the new download works. So, please retry. Sorry for inconvenience. Thanks atsushieno! I’ve been trying the program out with a number of different soundfonts, and for the most part things seem to be going well - it’s certainly a lot quicker than converting the soundfonts manually! rger than length of string. There is a third one I’ve experienced where sf2xrni will close whilst processing a soundfont, and that’s where illegal characters are used in the instrument/patch name (e.g. </|>) that can’t be translated into a filename. Could you add an exception handler in the program to replace those with an acceptable character such as an underscore ( _ )? For those files, can you give me more infos, namely which soundfont did you try? Either posting here or emailing atsushieno@veritas-vos-liberabit.com would be great. They may be either bugs in sf2xrni tool, NRenoiseTool library (sf2xrni dependency) or NAudio library (this too). Ah, didn’t notice that possibility. I’ve fixed this issue and pushed new download on github. I guess that sf2xrni will need to call a sample convertor (e.g. 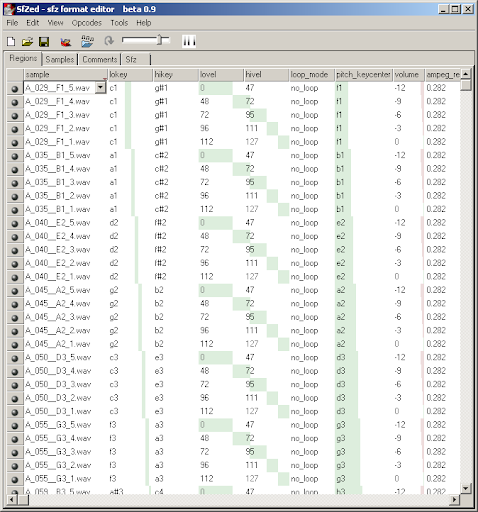 ffmpeg) to put the samples into the correct format. I haven’t searched, but is there a quick way to extract the samples from an XRNI file to see what format they’ve been saved in? Oops, I found that it was bad to have blindly updated NRenoiseTools.dll without any changes. I had to fix one thing to get converter working fine. Please download 0.1.6 package. I verified the resulting samples sound fine on renoise 2.7. No worries - thanks for the update! I can confirm that the samples work in Renoise too. I hope that helps - we’re getting close to having this tool fully functional! No worries, and thanks for the update! I hope it’s not too much more code to assign the keyzones correctly! Today I dug in depth to my source, NRenoiseToools and NAudio, and found that this velocity-aware samples are available only after 2.7 - correct? NRenoiseTools supports only before 2.5 formats so it does not cover things like ‘SampleSplitMap’ element (which contains ‘VelocityStart’ and ‘VelocityEnd’ elements). I’ll revisit sd2xrni source when NRenoiseTools supports 2.7-or-later format.